Camonghne Felix is a poet, political strategist, media junkie, and cultural worker. She received an MA in arts politics from NYU, an MFA from Bard College, and has received fellowships from Cave Canem, Callaloo, and Poets House. A Pushcart Prize nominee, she is the author of the chapbook Yolk and was listed by Black Youth Project as a "Black Girl from the Future You Should Know." Camonghne Felix, M.A. is a poet, political strategist, media junkie and cultural worker. She received an M.A. in Arts Politics from NYU, an MFA from Bard College, and has received Fellowships from Cave Canem, Callaloo and Poets House. The 2012 Pushcart Prize nominee is the author of the chapbook Yolk, and was recently listed by Black Youth Project as a "Black Girl From the Future You Should Know." 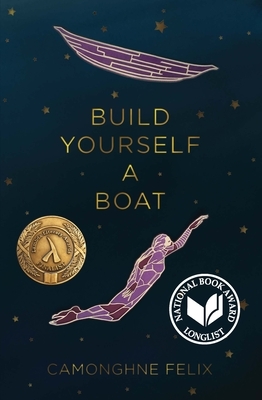 Her first full-length collection of poems, Build Yourself a Boat, was a 2017 University of Wisconsin Press Brittingham & Pollak Prize finalist, and a 2017 Fordham University Poets Out Loud semi-finalist.